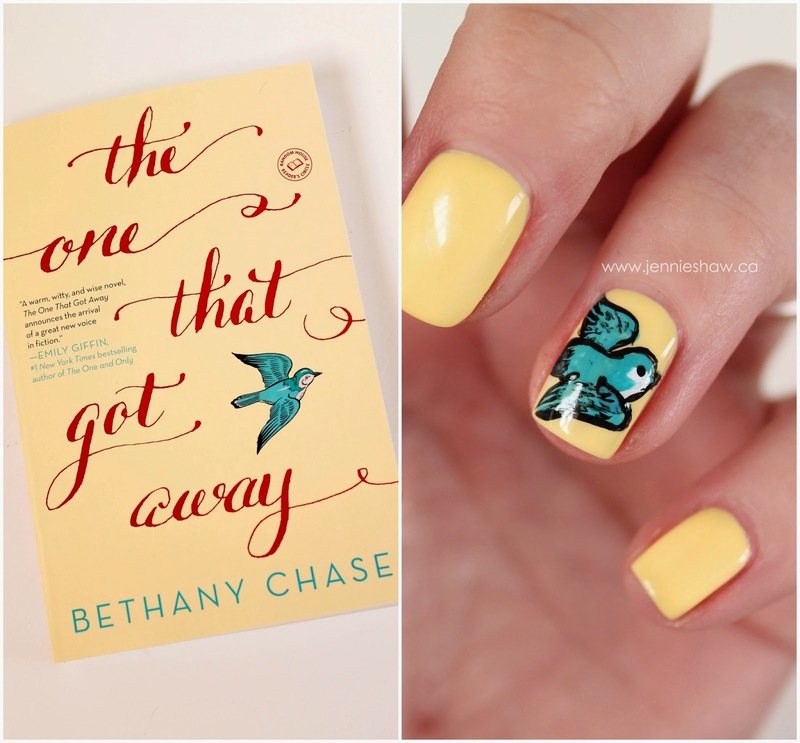 As an avid reader of women’s fiction, I’ve really been looking forward to Bethany Chase’s debut novel, THE ONE THAT GOT AWAY (which is available as of today!!). So, when my preorder came in early, I dove right into the first chapter only to emerge hours later, still wearing my fleece zebra robe, stomach growling, because I hadn’t had breakfast and it was coming on eleven o’clock. Naturally, that meant I had to review it. Because books that can keep my attention like that, while making me laugh and cry deserve some attention. But this post isn't about nails. So let's get on with the review, shall we? Sarina Mahler thinks she has her life all nailed down: a growing architecture practice in Austin, Texas, and an any-day-now proposal from her loving boyfriend, Noah. She’s well on her way to having the family she’s hoped for since her mother’s death ten years ago. But with Noah on a temporary assignment abroad and retired Olympic swimmer — and former flame — Eamon Roy back in town asking her to renovate his new fixer-upper, Sarina’s life takes an unexpected turn. Eamon proves to be Sarina’s dream client, someone who instinctively trusts every one of her choices — and Sarina is reminded of all the reasons she was first drawn to him back in the day. Suddenly her carefully planned future with Noah seems a little less than perfect. And when tragedy strikes, Sarina is left reeling. With her world completely upended, she is forced to question what she truly wants in life — and in love. There were a whack of things I loved about THE ONE THAT GOT AWAY, so it's hard for me to know where to start. By the end of page one, I knew Sarina Mahler was the kind of woman I’d totally hang with on a Saturday night, drinking Lone Star beer (which, from what I gathered in THE ONE THAT GOT AWAY, is the beer of choice in Austin, Texas). She certainly wasn't the hottest of messes, but she still made mistakes--took the easier, safer choices, even at great personal expense. That's why she was so endearing. Her missteps were real and honest, based on fear. That deep-seeded self-preservation kind of fear that's incredibly difficult to overcome. I cried no less than three separate times, so make sure you’ve got some tissues handy. Cause you’ll probably need them. You’ve been warned. Haha! Above the fantastic characters and swift pacing though, the writing stood out most of all. At its core, I’d say that this book takes the familiar path that I’ve come to expect from women’s fiction, but the scenery along the way is entirely original. 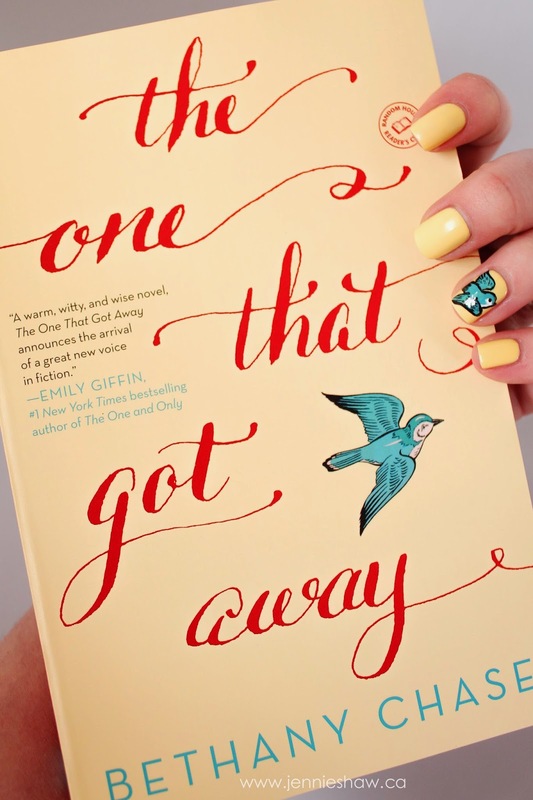 So if you’re into fun, witty fiction with a soul, you should probably pick up THE ONE THAT GOT AWAY, which you can do here and here. Then, I’d recommend that you mosey on over to Bethany’s social media accounts, because, like Sarina, she’s got a killer sense of humour, as well as style. It sounds fantastic! I'd never heard of it before, so YAY! And also, I love the nails. Did you freehand the bird? ?